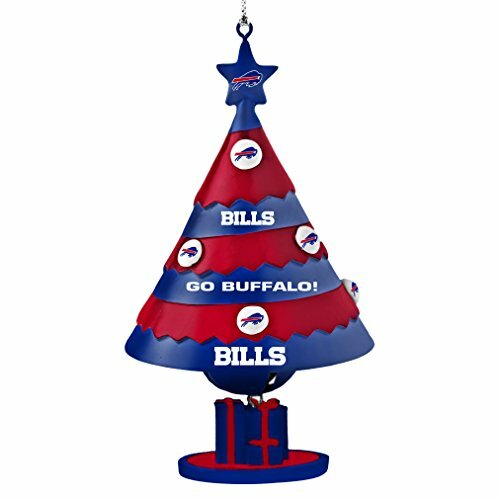 The Buffalo Bills Christmas Tree Ornaments are usually done in red, white, and blue, the colors of the team. 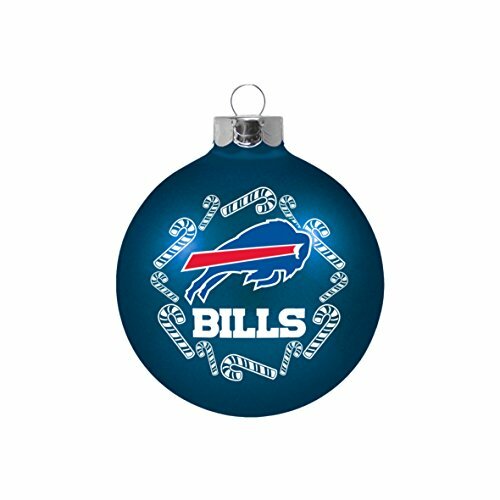 The ornaments often feature the blue charging buffalo, the team logo. 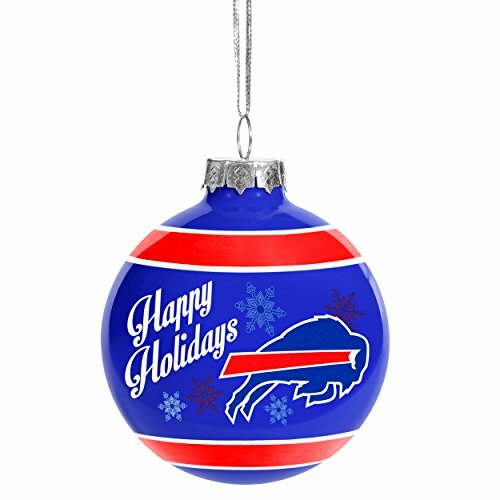 The tinsel ball to the left is made of glass and filled with red and blue mylar strips of tinsel. 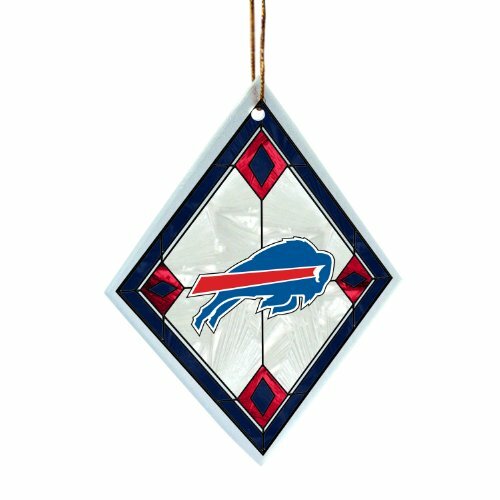 It’s embellished with the Buffalo Bills logo of a blue buffalo. 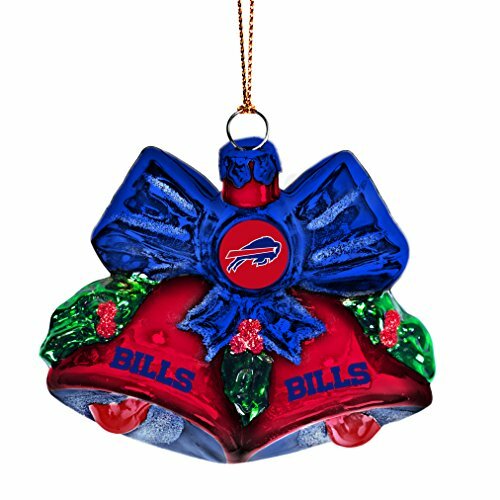 It’s a beautiful ornament that will make a super gift for a Bills fan. 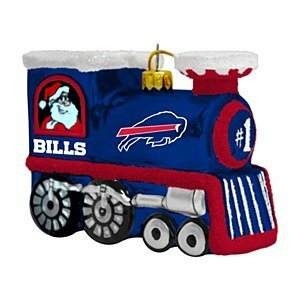 As always with the NFL ornaments, you have a plentiful variety from which to choose. 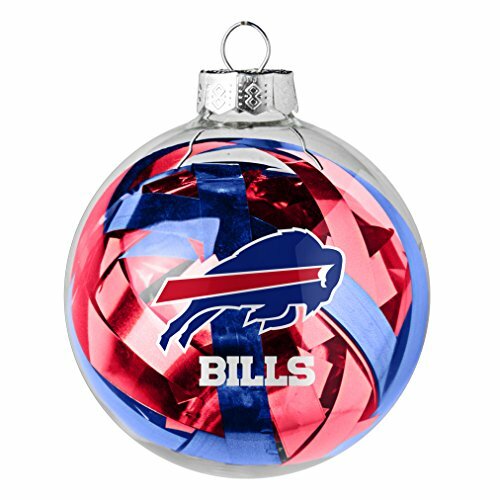 Whether you’re looking for the traditional round ball ornaments or something more unusual, we have them on this page. 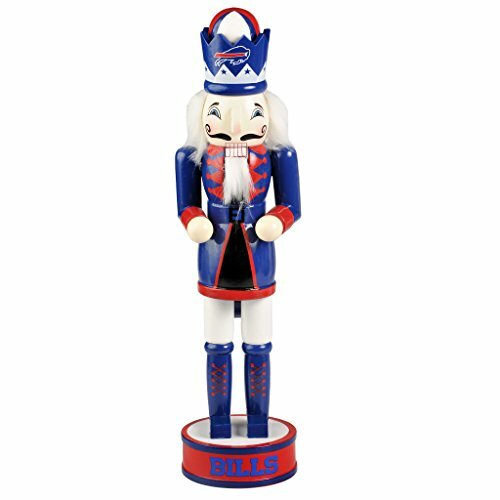 A cute red, white and blue nutcracker ornament and a Buffalo Bills “Score S’more Touchdowns” are rather different and would make nice small gifts or stocking stuffers. 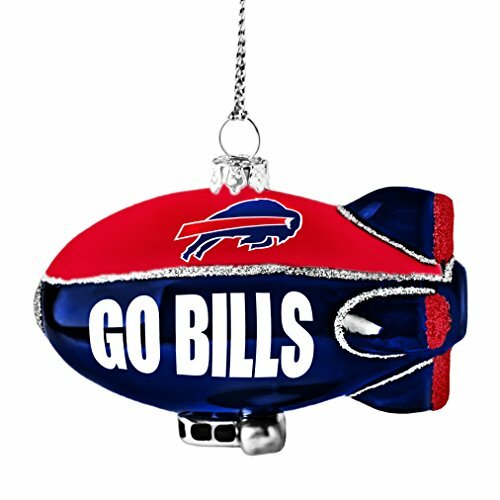 Same for the Christmas tree bell and the “Go Bills” blimp. 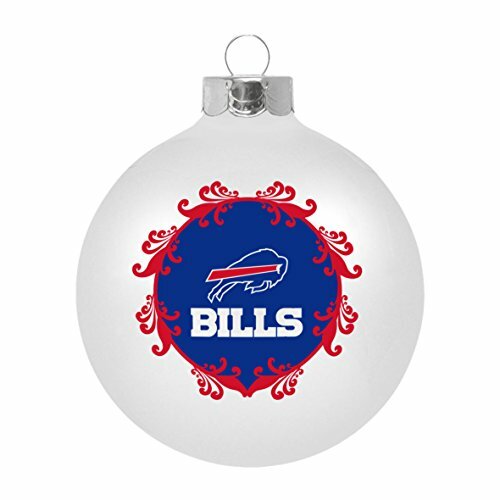 If one of the kids’ teachers is a Bills fan, I bet they’d like a Buffalo Bills Christmas ornament! 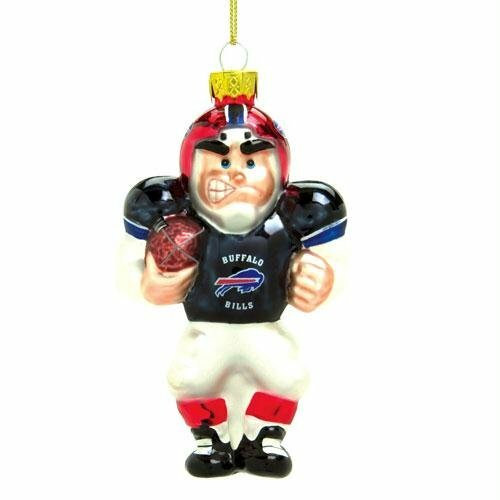 Of course there would be football ornaments! 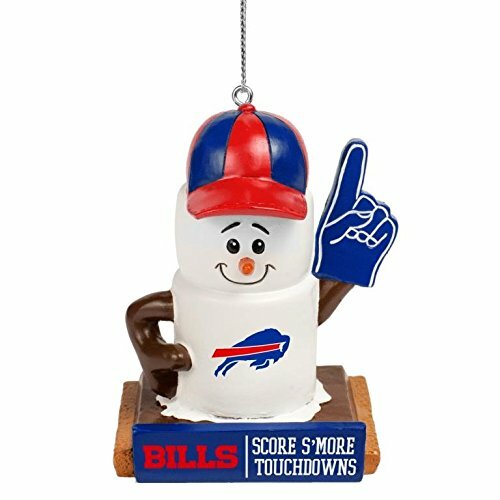 One with Santa, both with the Bills logo. 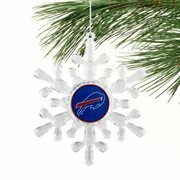 A snowflake and a sled are appropriate to the Christmas, winter season. 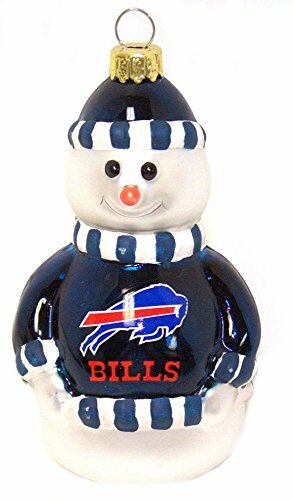 The official mascot of the Buffalo Bills is an eight foot tall blue buffalo named Billy Buffalo. 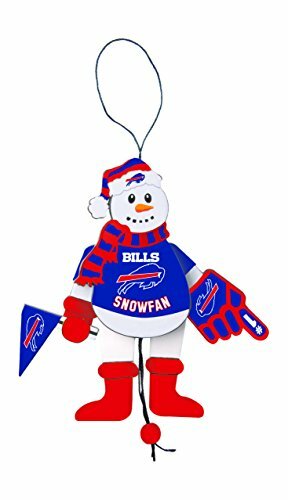 He wears “BB” on his jersey. Currently they do have a marching band but no cheerleaders. 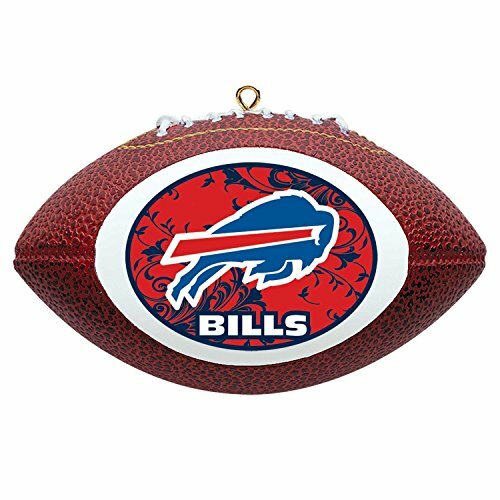 The Buffalo Bills logo is a charging buffalo with a red streak. 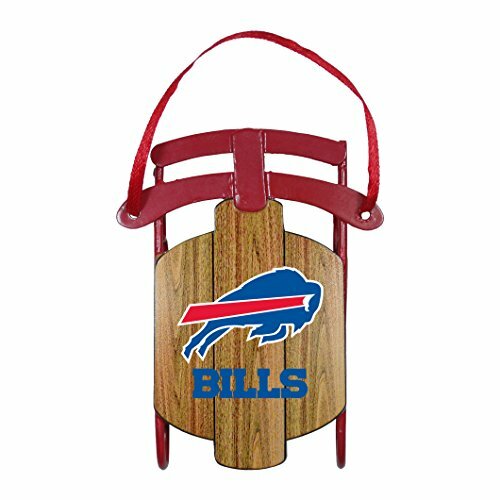 Formerly it was a standing red buffalo and was changed to the blue charging buffalo in 1974. 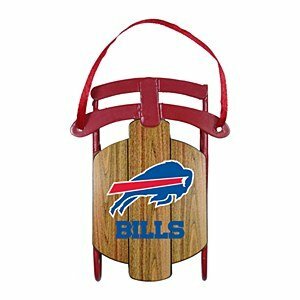 The red standing buffalo is still used in the Bills’ throwback uniforms. 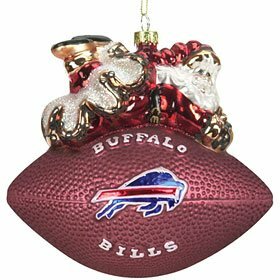 In 1962 the colors of the Buffalo Bills became red, white, and blue. 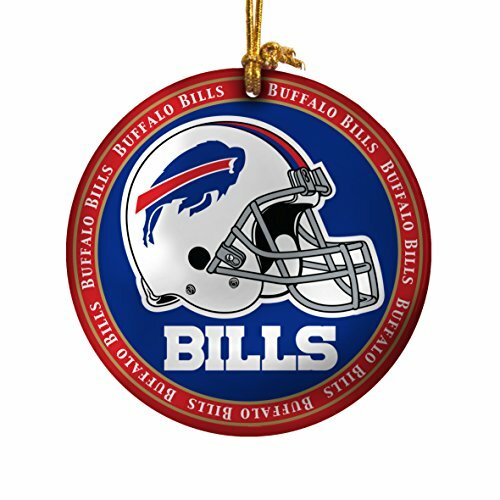 You will see that reflected in the Buffalo Bills Christmas Tree Ornamnets.